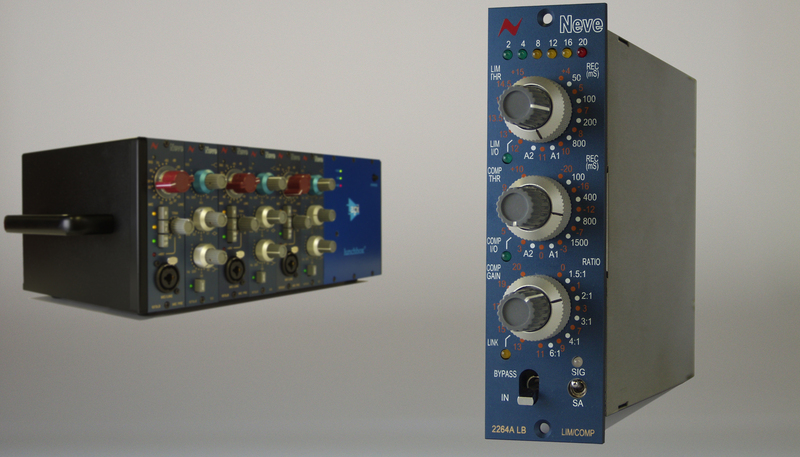 The Neve mono 2264ALB compressor/limiter is a Lunchbox 500 series version of the Neve Classic 2264A. The 2264ALB fits in and is powered by the 500 series Lunchbox. The 2264ALB has led metering and separate compression and limiting controls. Stereo linkable with another 2264ALB. +4 balanced XLR I/O. Made in England.